We are proud that for its second year activity report, the TaaS (Terminology as a Service) project has received the European Commission's (EC) highest recognition — excellent. The evaluation of such projects happens once per year, and the EC also gave this project the highest mark last year. The Tilde team (Andrejs Vasiljevs, Tatiana Gornostay, Arturs Vasilevskis, and Marcis Pinnis) and TaaS project consortium partners participated in this year's project evaluation in Luxemburg on July 3-4. Read more. Final project summary is available here. On 4 June concortium organized TaaS Workshop at the pre-conference day of Localization World in Dublin. These complimentary session attraced more than 40 international professionals working with terminology. Speakers from Tilde, Interverbum Technology, CSOFT International, sQuid and WorlLo gave great presentations covering various research results, updates of the EC funded projects, new products and industry trend-watching. Take a look at the Photo gallery for the TaaS impression. All presentation are publicly available here. Peter Reynolds (Kilgray) gave a presentation on the latest updates of the TaaS platform at the Proz Virtual memoQ Day on 30 May. About 60 people attended the webinar and the content is now available on Proz. Participants asked a lot of question about the public and private termbases but seemed very positive. Check the webinar here. Indra Sāmīte (Tilde) and Peter Reynolds (Kilgray) presented on TaaS at memoQfest in Budapest, 7 May 2014. The presentation focussed on what TaaS had done over the last two years. Indra and Peter also demonstrated the TaaS integration within memoQ. One of the features which people really liked was when they used functionality in memoQ to add a new term. One could instantly see it on the TaaS portal. They also talked with the audience about how they could use TaaS within their own work. As a results, several audience members had already registered with TaaS. The session was on a live ustream feed from the conference and there were some enthusiastic tweets from the session. TaaS demonstration “Dream Terminology Services in XXI” was presented at ELIA Networking Days 2014 in Riga. Tatiana Gornosty (Tilde) reported about the latest project developments and showcased the TaaS platform. Check the presentation here. On April 4, 2014, TaaS was presented at the first OCPE conference for translators and interpretors in Utrchet, the Netherlands. Tatiana Gornosty reported on the latest developments of the project and answered the questions from the audience. Participats of the conference were enthusiastic about this new terminology platform, were interested in API, mobile version of the platform, languages covered and the cloud-based terminological data in general. The TaaS project progress meeting took place at TAUS Amsterdam premises on 2014-02-11 and 12. Current tasks and deliverables issues were discussed among the present representatives by all consortium partners. 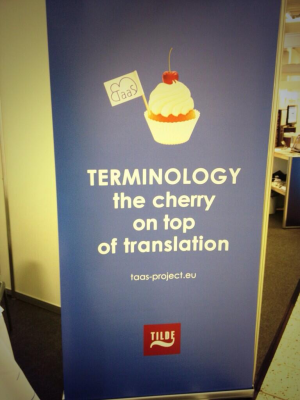 Welcome to the Cloud Services for Terminology Work - TaaS Beta is out! Language workers - technical writers, terminologists, interpreters, domain experts and others! TaaS was presented at the TCWorld conference and exhibited at the Tekom Trade Fair on November 6-8, 2013 in Wiesbaden, Germany. See the presentations here. The third biennial conference on electronic lexicography "eLex 2013: Electronic Lexicography in the 21st Century: Thinking outside the Paper" took place in Tallinn, Estonia, on October 17-19, 2013. TaaS demonstrated the platform that serves, among others, the needs of specialised lexicography and aims to fill the gap of collaborative terminology management and effective sharing of existing terminological data thus speeding up the development of specialised dictionaries. The full text of the TaaS eLex paper is available here. TaaS also announced the Beta testing start on November 1, 2013. TAUS Annual Conference took place on October 15-16, 2013 in Portland, USA. During this event leading practitioners gathered to tackle the most pressing issues and opportunities facing the global translation industry. This conference was a great opportunity to present the TaaS project. As a part of Innovation section at the conference where industry peers discussed the translation as utility, Indra Samite (Tilde) gave a presentation about Terminology as a Service (TaaS). Check the presentation here. The EUATC (European Union of Associations of Translation Companies) is the umbrella body in Europe for national associations of translation companies. 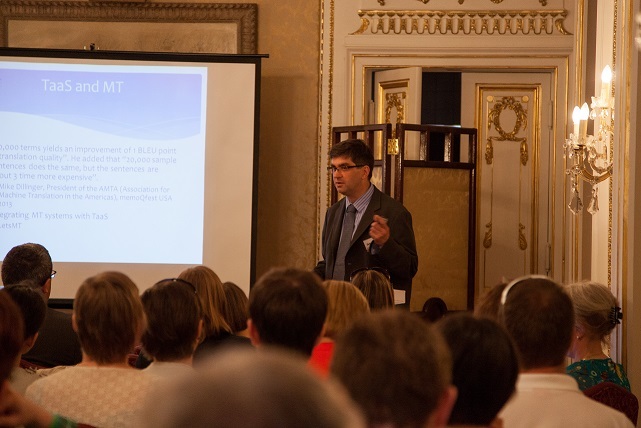 As part of their general meeting held in Warsaw in October 2013 they held a joint seminar with the PSBT (Polish Association of Translation Companies). Peter Reynolds gave a presentation to the seminar outlining the TaaS project. There was a positive reaction to a presentation and the participants were particularly interested to hear how and when language workers could use TaaS. RANLP-2013 belongs to a sequence of events with similar name and continues the tradition of the successful events that annually take palce in Bulgaria. This year, on behalf of TaaS Consortium, Mārcis Pinnis presented a new context independent method for bilingual term mapping using maximised character alignment maps. Results of this research are published in the RANLP 2013 proceedings. Read more. 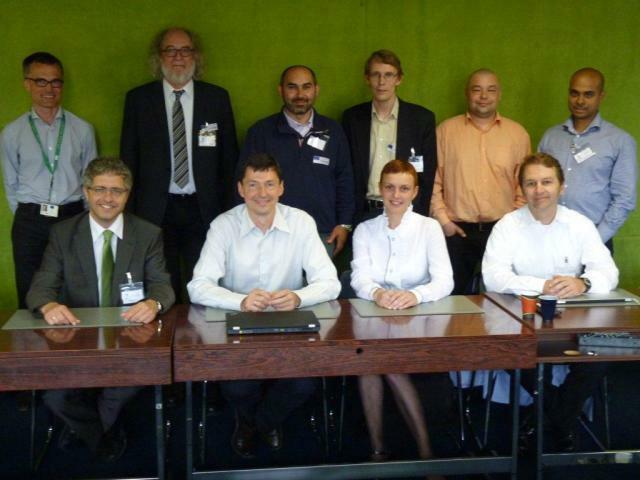 The TaaS project progress meeting took place in Berlin on September 18, 2013. Current tasks and deliverables issues were discussed among the present representatives by all consortium partners. The Taas platform Beta version was reviewed among the partners. To stay up-to-date with the project's developments you can subscribe for the TaaS newsletter. In this system demonstration Tilde presented a terminology platform providing online terminology services for human and machine users. Raivis Skadiņš, Mārcis Pinnis, Tatiana Gornostay and Andrejs Vasiļjevs demonstrated a use case for the application of online terminology services for statistical machine translation and describe the applied methods for monolingual and bilingual terminology integration into the statistical machine translation during training and translation phases. 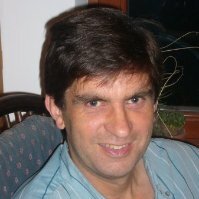 For the first time, the annual meeting of the Association for Computational Linguistics (ACL) took place in Sofia, Bulgaria. On behalf of TaaS and the University of Sheffield Ahmet Aker presented results of the TaaS project on "Extracting Bilingual Terminologies from Comparable Corpora". You can read more about the method used in the new journal of the ACL "Transactions of the ACL" (TACL). Read more. In July 2013 Cologne University welcomed students from around the globe for a one-week, practice-oriented introductory training course for terminology management. This was the eight's time that TermNet International Network organizaed such trainings. This year participants had a chance to work on their terminology management skills, to learn about the strategies for business processes, standards and legal issues for terminology work. To learn more about the program and how you can participate in 2014, please click here. memoQfest was the fifth user conference organised by TaaS partner, Kilgray. Having around 200 attendees from more than 25 countries every year, memoQfest became one of the most important conferences in the translation industry over the last couple of years. This year Peter Raynolds gave a presentation outlining the TaaS project. There was a positive reaction to a presentation and the participants were particularly interested to hear how and when language workers could use TaaS. CHAT 2013 is a full day track of the tcworld/tekom 2013 conference which takes place on November 7, 2013, Rhein-Main-Hallen, Wiesbaden (Germany). It will bring together terminology practitioners, business stakeholders and researches to discuss the latest advances and challenges in the terminology field. We invite researchers, software and service companies, as well as users to share their experiences with the creation, harmonization and practical application of terminology in the technical documentation life cycle and other areas of the content value chain, including translation and localization workflows. Read more. 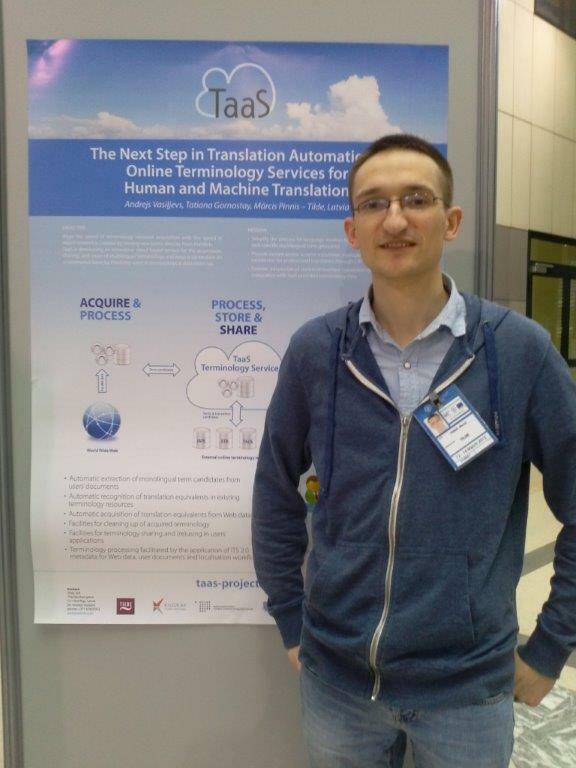 The TaaS project was presented at the poster session of the MultilingualWeb Workshop "Making the Multilingual Web Work" taking place in Rome (Italy) on March 12-13, 2013 by Mārcis Pinnis with the poster “The Next Step in Translation Automation: Online Terminology Services for Human and Machine Translation” (authors of the poster: Andrejs Vasiļjevs, Tatiana Gornostay, and Mārcis Pinnis). The workshop also featured a demonstration of the first machine user of the TaaS platform’s terminology services - the automated ITS 2.0 enriched terminology annotation Web Service for HTML5 and XLIFF documents. The demonstration is available here. 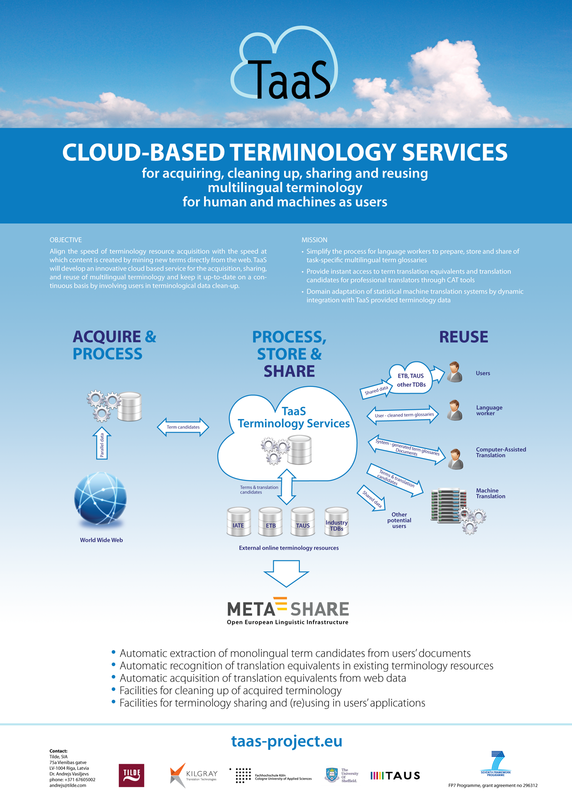 During the Tralogy Conference in Paris (France) that took place in January 2013 Olga Vodopiyanova presented cloud-based terminology services for acquiring, sharing and reusing multilingual terminology for human and machine users. She also outlined the results of the userr needs survey carried out at the start of the TaaS project. See video. 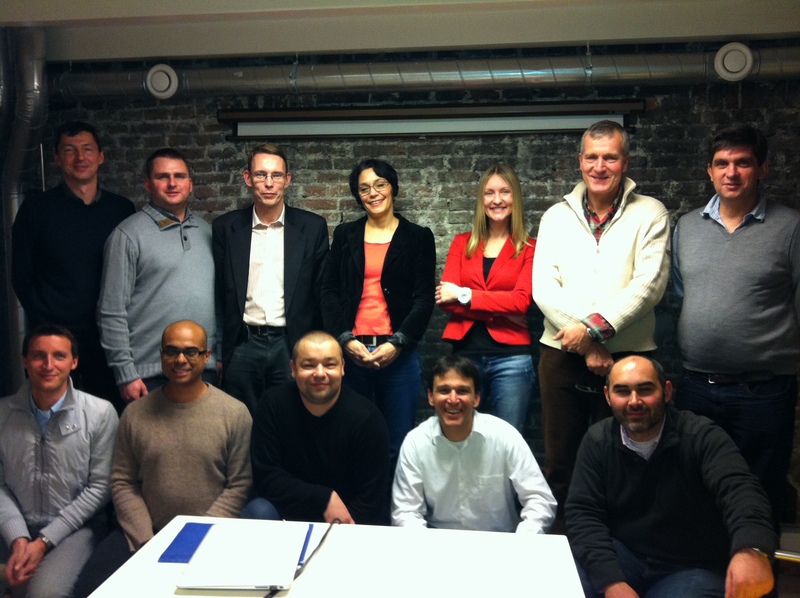 On 6-7 December 2012 a mid-term meeting of the TaaS project was hosted by TAUS in Amsterdam, NL. The agenda was built around work packages, work progress in 2012 and strategic blueprint for 2013 and further. The TaaS project has been present in the third international conference on Terminology – Current Trends in Terminology Theory and Practice held in Riga, Latvia on October 25-26, 2012. The project was represented by Klaus-Dirk Schmitz giving a presentation on terminology theory, Raivis Skadiņš giving a presentation titled “TaaS – Towards Cloud-based Terminology Services” and Mārcis Pinnis giving a presentation titled “Improving Machine Translation With Terminology”. PDF of the publications can be found here. The TaaS project was introduced at the annual tekom/tcworld Conference in Wiesbaden, Germany, organized by German Professional Association for Technical Communication. Klaus-Dirk Schmitz presented the results of the User Needs Survey which was carried out at the initial stage of the project. The survey addressed members of different associations of language workers (e.g. tekom, BDÜ, DTT) and aimed at identifying of the actual terminological needs of the intended TaaS users in respect to on-line terminology services. The results of the survey served as recommendations for the initial functional specification of the TaaS platform. During the annual TAUS User Conference that took place on October 15-16, 2012 in Seattle, USA, a consortium member Tilde gave a presentation about MT and briefly mentioned the current developments of the TaaS project. Use this link to see the full presentation video or check the slides here. The TaaS project has been present in the fifth international conference Human Language Technologies – The Baltic Perspective held in Tartu, Estonia on October 4-5, 2012. The project was represented by Mārcis Pinnis giving a presentation titled “MT Adaptation for Under-Resourced Domains – What Works and What Not”. The respective paper that can be freely accessed here describes various methods for terminology integration in SMT systems during system training utilizing also data that can be acquired from comparable corpora collected from the Web. 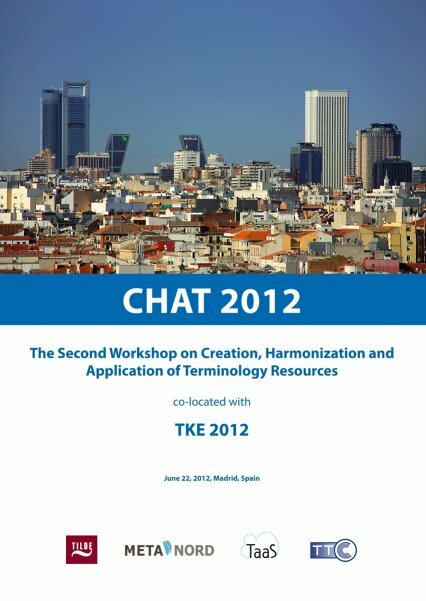 TaaS was one of the three EU projects – co-organisers of “CHAT 2012: the Second Workshop on Creation, Harmonisation and Application of Terminology Resources” held on June 22 in Madrid. The workshop was organised by FP7 project TaaS, ICT PSP project META-NORD (Baltic and Nordic Branch of the European Open Linguistic Infrastructure) and PF7 TTC project (Terminology Extraction, Translation Tools and Comparable Corpora). The workshop programme was published on the workshop page as well as printed and distributed among workshop participants. CHAT 2012 continued a series of meetings that started as the first workshop CHAT 2011 in Riga in May 2011. CHAT 2012 aimed at bringing together academic and industrial players in the terminology field and attracting holders of terminology resources. The workshop also focused on fostering the cooperation between EU projects and research and development activities in the area of terminology along with sharing experience and discussing recent advances of the consolidation, harmonization and distribution of terminology resources, as well as their practical application in various domains. META-FORUM is an international conference on powerful technologies for the multilingual European information society. META-FORUM 2012 was held on June 20-21 in Brussels and featured an exhibition space in which various aspects of the work being done across the entire Language Technology community reflecting both the research and industry aspects were displayed and demonstrated. The TaaS project was presented with its introductory poster. The MultilingualWeb initiative is concerned with standards and best practices that support the creation, localization and use of multilingual web-based information. Through workshops open to the public and various communication channels, it spreads information about what standards and best practices currently exist, and what gaps need to be filled. The workshop “Multilingual Web – Linked Open Data and MultilingualWeb-LT Requirements” was held on June 11-13, 2012 in Dublin, Ireland. Tilde actively participated in workshop discussions and presented its projects and advances in establishing cloud-based platforms for acquiring, sharing, and reusing language resources to improve automated natural language data processing (for example, machine translation). Kick-off meeting of the TaaS project took place in the Jean Monnet Building on June 7, 2012 in Luxembourg. After presentations of individual work packages, general procedures and the first steps were coordinated. Moreover, the first deliverables were agreed upon.